City Hall, at 93 Washington Street in Salem, around 1865-1885. Image courtesy of the New York Public Library. During the early 19th century, Salem was among the largest cities or towns in the country, ranking among the top ten in the first four federal censuses. 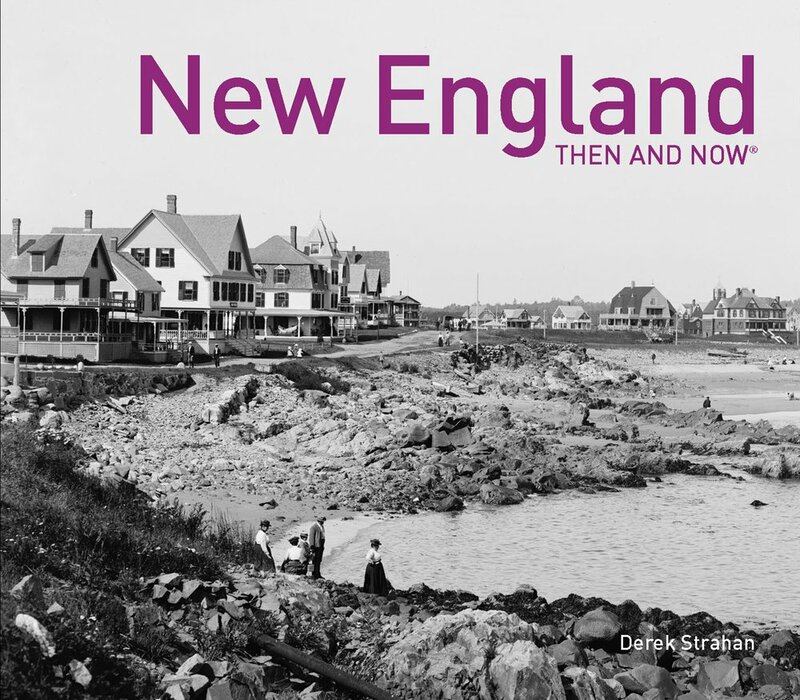 It was also the second-largest in New England during this time, behind only Boston, and in 1836 it was incorporated as the second city in the state, with a population of 15,886. At the time, the municipal government occupied the town hall at Derby Square, but construction soon began on a purpose-built city hall here on Washington Street, just north of the intersection of Essex Street. 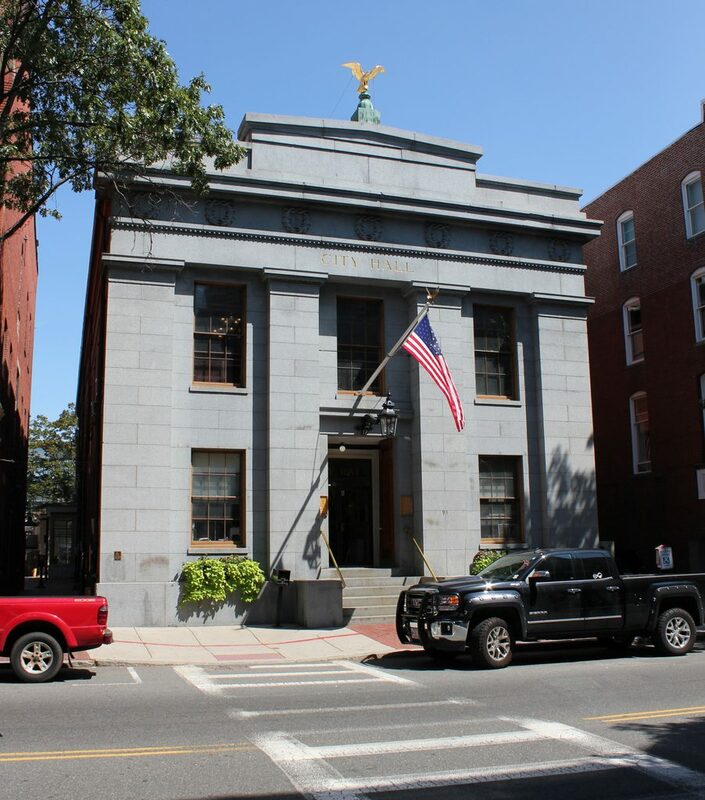 The building, which was completed in 1838, was designed by noted architect Richard Bond, whose other Salem works included the 1854 Tabernacle Congregational Church (demolished in 1922), as well as the 1841 county courthouse on Federal Street. Bond’s design for City Hall had a Greek Revival exterior, with a granite facade on the Washington Street side and brick walls on the rest of the building. The main entrance is flanked by four Doric pilasters, supporting an entablature that features seven laurel wreaths, with a gilded eagle atop the building. On the interior, the building was constructed with city offices on the first floor, and the mayor’s office and city council chambers on the second floor. The first mayor of Salem was Leverett Saltonstall I, a prominent politician who had previously served as president of the Massachusetts Senate and would later go on to serve in the U. S. House of Representatives from 1838 to 1843. 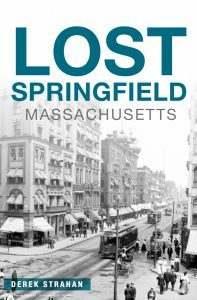 He was also the great grandfather of Leverett A. Saltonstall, who would serve as governor of Massachusetts and as a U. S. Senator during the mid-20th century. Other notable early mayors included Stephen C. Phillips and Charles W. Upham, both of whom also served in Congress, and Stephen P. Webb, who served as mayor from 1842 to 1845 and 1860 to 1862, while in the interim serving as mayor of San Francisco from 1854 to 1855. 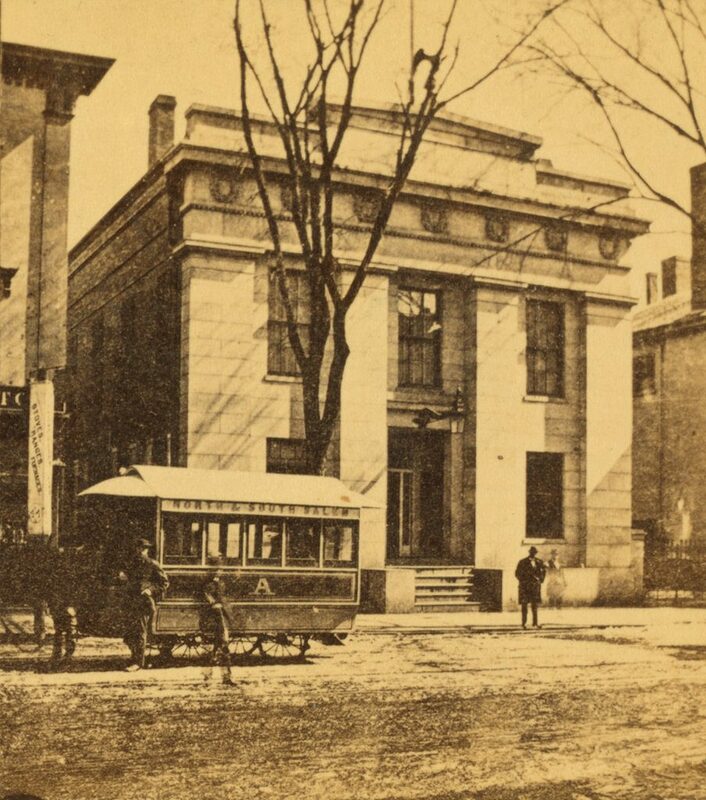 The first photo was taken at some point in the post-Civil War era, most likely in the late 1860s or early 1870s, and shows the front facade of City Hall, along with a horse-drawn trolley on Washington Street. The building was significantly expanded in 1876, with an addition that doubled its length, although its appearance from this angle remained unchanged. Another addition came a century later in the late 1970s, but likewise this did not affect the Washington Street side of the building. Today, this building remains in use as the Salem City Hall, with a well-preserved exterior that shows hardly any changes from the first photo. Now over 180 years old, it is the oldest continuously-used city hall building in the state, and it survives as a good example of Greek Revival-style architecture. It was added to the National Register of Historic Places in 1973, and it is also a contributing property in the Downtown Salem Historic District.